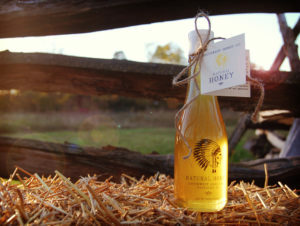 Name A Bee Fundraiser – Southwest Honey Co.
Want To Help? Name A Bee! 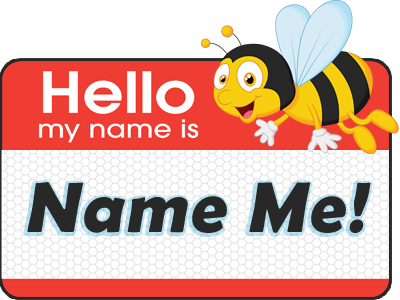 From “Bobee” to “Bee-m Me Up Scotty,” as a part of our “Name A Bee” campaign, with a $5 donation, we’ve had a lot of fun seeing what creative names people have came up with to name their bee! We have received some fantastic names, some with fun word-play, some in memoriam, and some just for fun for the worthy cause. If you had a pet bee, what would you name her? We’ll let you “adopt” and name as many bees as you would like! Don’t worry, you don’t have to take her home or brush her hair, we’ll do that for you. But since we have over 250,000 honey bees and more born every day, we need your help to name them all! For each $5 donation, you can name one bee! Your donation helps our efforts of the preservation, conservation and education to the public of honey bees in the Fort Wayne, Indiana area. We will keep a running list of all of our “named” bees right here on our website. 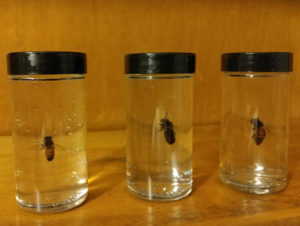 Over 60 Bees Have Been Named! What Will Your Bee Be Named? Thank you to everyone who has donated to help save the bees!! When you donate, your name and your bee’s name will be listed here. 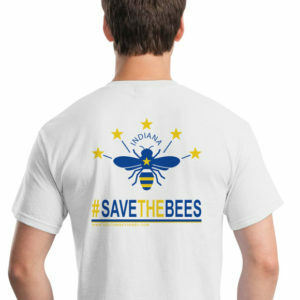 All funds go towards our mission of finding promoting, preserving and finding homes for the local honeybee population. Manfred A. "Ayuk" Kerry & Gina B. "Blanchette Bee"
Becky L. "Becky" Shelby H. "Soulburst"
Cindy C. "Koningin Bij" Rachel S. "Nihla"
Kara S. "Sweetness" Ryan L. "Napoleon"
Mark W. "Little Allison" Jordan C. "Bobee"
Jenna L "Bee-m Me Up Scotty" Nicole J. "Tennyson"
Jessica K. "George" Dianne M. "Tom"
Lauren S. "Belinda H. Bee" Morgan C. "The Godfather"
Dorothy H. "Daisy" Michael R. "Donnie"
Karen W. "Tom" James H. "Mel"
Kip L. "Winnifred Lila" Kat R. "Krazy"
Hillary E. "BeeZam" Joni K. 'Jojo Bug"
Jacob M. "Billy Bee" Sarah R. "Ebo"
Rob S. "Buzz Aldrin" Ruth J. "Bret Michaels"
Jen B. "Fiona Willow" Carole N. "Ed Reohm"
Bill L. "Hermione" Denis C. "Polo"
Ryan B. "Beenard" Tarah C. "Greg"
Diana H. "Buzzer" Stacey B. "Honeydew"
Diana H. "Captain America" Joni K. "MackeyJo"
Laura A. "Chauncey" Diana H. "Melissa"
Tarah C. "Claudio" Kori H. "Neverland"
Joni K. "Coby1" Joni K. "OB1"
Kori H. "Crooked Tale Pirate" Kori H. "Radioactive Kiwi"
Ruth J. "Elvis" Diana H. "Spiderman"
John R. "Emma" Becky W. "Susan Bee Anthony"
Stephen H. "Eric - The Half a Bee" Kori H. "Titan"
Kori H. "Gishwhes" Dorothy H. "Zippy"
Tarah C. "Gloria" Maria S. "Beatrice"
Michael P. "Stinger" Michael P. "Buzzme"
James and Ann Brown "The Browns" Stephanie B. "Helen"
William K. "Zoe" Stephanie B. "Donna"
Stephanie B. "April" Stephanie B. "Ruth"
Stephanie B. "Claire" Stephanie B. "Susie"
Stephanie B. "Phyllis" Stephanie B. "Lora"
Marty L. "Shelby" John R. "Emmy"
Jeaninne C. "Karlandia" John R. "Paigee"
April C. "Bella Rose" Daniel D. "Magnolia"